Omg! I’m glad I only made 6 of these because they were so freaking delicious we would have eaten 4 each! I had to wrestle Patrick to put the last one in a container for his lunch tomorrow. 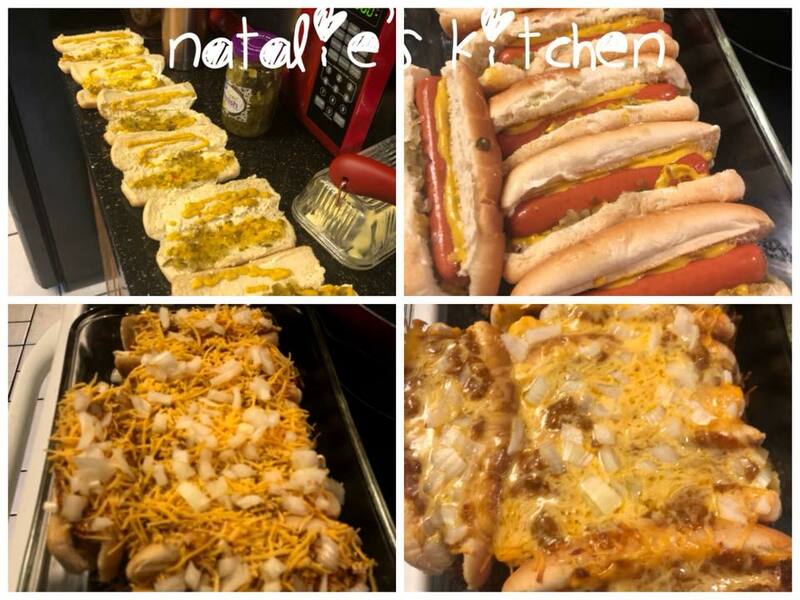 Y’all, these aren’t just some “ordinary” chili dogs! Here’s a great idea for SUNDAY FOOTBALL watching get togethers! Can’t Wait!!! Have you ever made them in the oven this way? Carefully remove from the pan with a spatula.